The Smart Industry conference was held in Chicago from September 18-20 and provided the 300+ attendees with a wide-range of use cases as well as actual digital and IoT implementations presented by the 40 speakers at the event. Specifically, attendees were provided business cases and examples surrounding specific deployments of digital technologies to highlight the coming industrial revolution. The focus of the conference was on data, and how product manufacturers and end users are disrupting traditional maintenance practices by enabling workers with new information about their operating environment. From keynotes to round table discussions, presenters focused on how data analysis can eliminate operational surprises while also optimizing equipment performance, innovating entire business processes. However, one theme was present in all of the presentations and breakouts: it is still very early in the game for digital technology adoption. The handful of use-cases presented, including examples of customers who had attempted the leap towards a truly digitized operation, were in most cases ambitious pilot projects. However, regardless of speaker expertise, three themes became clear about today’s digital implementations. Further, many participants at the conference agreed, data analytics is an “art and a science”— having the right data isn’t enough, there needs to be context for how these machines perform to unlock the complete value of these technologies. 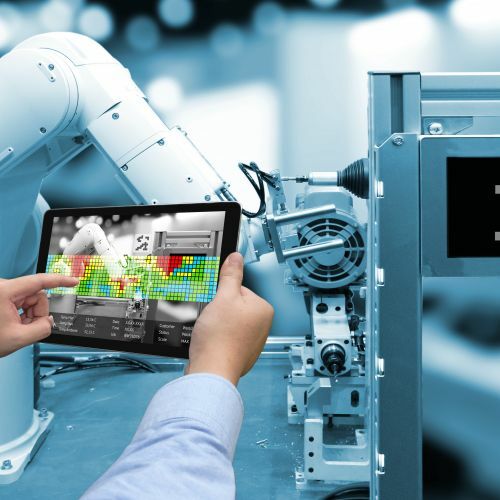 Operations personnel understand asset health and how machines perform, ensuring reliability, but the true value comes from integrating data analytics applications into their daily workflows. The issue for many operations personnel is the lack of technical experience to develop applications. The problem is not the technology. 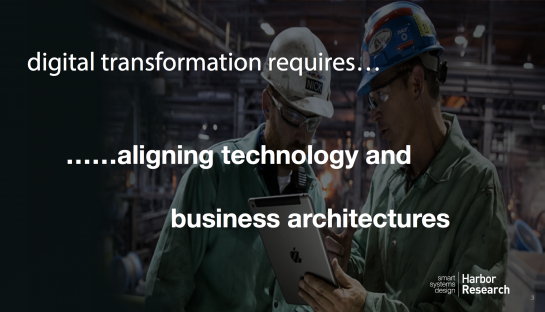 The problem is aligning an organization in a way that creates mindshare with leadership to promote digital transformation. During a round table discussion, a maintenance engineer from a larger manufacturer explained that analytics solutions already have a proven ROI but every time a new plant manager joins the company, he is forced to justify his investment. Another example came from Ecolab, where during the process of implementing analytics, the change management associated with remote monitoring took 5+ years. The main reason for this delay was sales team members that were hesitant to adopt the solutions, fearing their job’s security. How Should Companies Organize A Team To Address Digital Opportunities? Focused Leadership – This approach focuses on creating a standalone organization that manages digital transformation for the entire company. Example: Air Liquide – The company developed a separate business unit to drive digital technologies across the company. The company was successful because it leveraged respected leaders from across its business units to lead the digital practice. Over time, this new digital focused unit has been able to implement new technologies and plant managers have seen the benefits. Line of Business – In this case, companies leave it to the operating platforms or business units to design and implement digital strategies. Example: Fluke – The directive for IoT came from leadership, but the business unit was responsible for selecting a platform, designing services and applications and selling the solution to its customers. Project Driven – This strategy is best characterized by cross-functional leaders creating a growth team to investigate, design and deploy digital solutions. Example: Flowserve – The company leveraged a cross-functional team from sales, marketing, R&D, and engineering under the direction of the CTO to implement a digital services strategy for their pumps and valve business units. It is a mix of these structures that will inform digital strategies in the future. A company’s culture, innovation processes, policy requirements and ability to mitigate risk should be considered when deciding on a digital strategy. Based off of our experience working with these types of companies, we believe there are five key success factors which entities must keep in mind as they undergo their own digital initiatives. The business paradigms to which these industries cling to today are far too limiting, saturated, and expensive to foster and sustain new innovation. In fact, most of these entrenched entities are showing little appetite for radical departures from current practice. Yet, current practice will not serve the needs of a genuinely connected world. Moving forward, the companies who do embrace these opportunities, must consider the approach from a technology stand point. But more importantly, they must consider the people and the right organization design that will enable these opportunities.